Shapoorji Pallonji Park West Phase 2: Comfortable living spaces in the plum location of Binnypet in Bangalore! Living in the IT city of Bangalore is a pleasure. Owning your own home here is like a dream coming true. And when the city has already made its mark as a strong presence on the global scenario, it is a bit natural that international trends in every sphere are evident. Realty sector is obviously one if the leaders in this case. The city has innumerable stylish buildings, both in residential and commercial sectors. Homes in the city are becoming more lavish than existing ones and the city looks like a futuristic veil has covered it. One such new and vibrant project in the residential space is the Shapoorji Pallonji Park West Phase 2. The property is coming up in Begumpet. This is a great choice for a location, as the region is enthused with modern developments and has transport, dining, shopping educational, medical and utility centers all in close access. The project site is 4 km away from the Outer Ring Road, and 4 km to NICE Road. The metro station is 1 km away and the railway station only 1.5 km away. Clearly, all modes of transport are in close access. All roads lead to Rome (aka the said project in this case!). Shapoorji Pallonji Park West 2 Bangalore is enthused with 1472 units that are embellished with high-end specifications and luxurious layouts. The living room and bedrooms, for instance, have large windows for ample cross ventilation and natural light. The maid’s room has a separate entrance to respect your privacy. The homes are cut out as 2, 3 and 4 BHK apartments. These are ranging in size from 900 sq. ft.(Carpet Area) to 2340 sq. ft. (Carpet Area)– a wide spectrum indeed! The amenities here are quite many. There is a clubhouse, meditation center, swimming pool, gym, kids’ play area, cafeteria, laundromat, theatre, multipurpose hall, many dedicated areas for sports, and open green parks, manicured and aesthetically crafted. The Shapoorji Pallonji Park West 2 Price is quite remarkable, starting from just Rs. 1 Crs and going up to Rs. 3.28 crores. This is quite fine, given the posh category that the project is aimed at. The towers here rise to G + 26 floors each with an exclusive sky lounge in each tower. 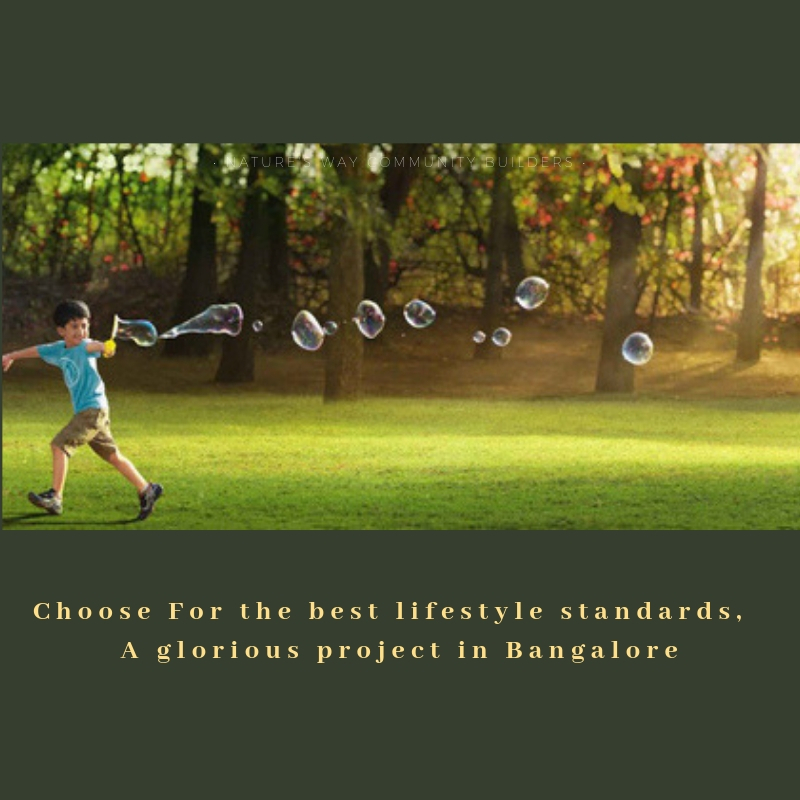 So be on top of the world and one amongst the clouds here at Shapoorji Pallonji Park West Phase 2 is a luxury residential complex located at the most sought after location of Binnypet in Bangalore. The stunning complex consists of 1472 units and offers 2, 3 and 4 BHK apartments with different configurations. The size of the apartments ranges from 900 sq. ft. to 2340 sq. ft. The apartments are well-equipped with finest amenities that are required for a happy and contented life. Key features of the development are exclusive sky-lounges in each tower, elegant clubhouse, kids play area, swimming pool, jogging track, tennis court, theatre, basketball courts and many other features. Shapoorji Pallonji Parkwest Phase 2 Binnypet is designed to give you the ultimate sense of comfort of contemporary life. Experience the luxurious lifestyle that you have always desired. A prominent division of Shapoorji Pallonji & Co. Ltd. – the flagship company of the mammoth multi-business conglomerate, Shapoorji Pallonji Group – Shapoorji Pallonji Real Estate (SPRE) is a leading name in Indian real estate sector. Enjoying a legacy that spans 148-years of proud presence inside the country’s construction industry, Shapoorji Pallonji & Co. Ltd. exhibits a diverse project portfolio that includes several dazzling architectural marvels on a pan India basis in various verticals such as IT parks, residential, commercial, retail, redevelopment, etc. Some of the landmark projects that have made the Shapoorji Pallonji name a hallmark of quality and trust in India and overseas include Mumbai's landmarks around the Fort area like the Hong Kong Bank, Grindlays Bank, Standard Chartered Bank and Reserve Bank of India building, Bombay Stock Exchange building and Taj Intercontinental as well as the palace for the Sultan of Oman at Muscat, the seat of government at Ghana and the Taj Grandeur Residence at Dubai. Renowned for their quality construction, efficient design and wide-range of amenities Shapoorji Pallonji Real Estate has created several prestigious commercial and residential landmarks in India. In the corporate reality segment, SPRE has built a chain of SP Infocity IT Parks in the IT/ITES SEZs at multiple locations across the country. In the residential segment too, SPRE has made a formidable name for itself by constructing some of the most premium properties in Mumbai, Bengaluru, and Kolkata. 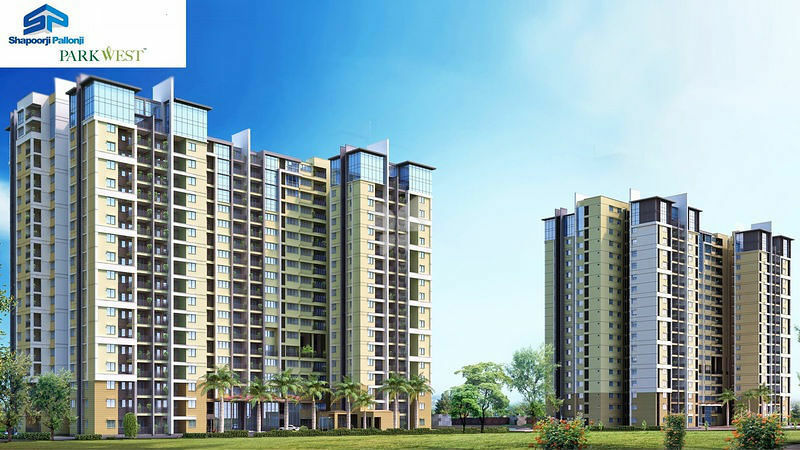 Parkwest Phase 2 is one of the better options in the Binnypet, Bangalore. The project offers distinct residential spaces packed with numerous spectacular and marvelous features in the real time period. It seems one of the beneficial residential projects in terms of investment. Shapoorji Pallonji is really a nice residential accomodation with 1,2,3&4 BHK segments of apartments. The best thing about the project is they are offering various key features and amenities which are very important as customer point of view. In addition it also has the close vicinity with railway station, Bangalore international airport, outer ring road and so forth. It is really a nice investment concept. Shapoorji Pallonji Parkwest Phase 2 is really a good project that I have come across. The various type of apartments they are offering is great and also the location of the project is very interesting as it provides vicinity to various essential services. What i like most about the project is it's location. 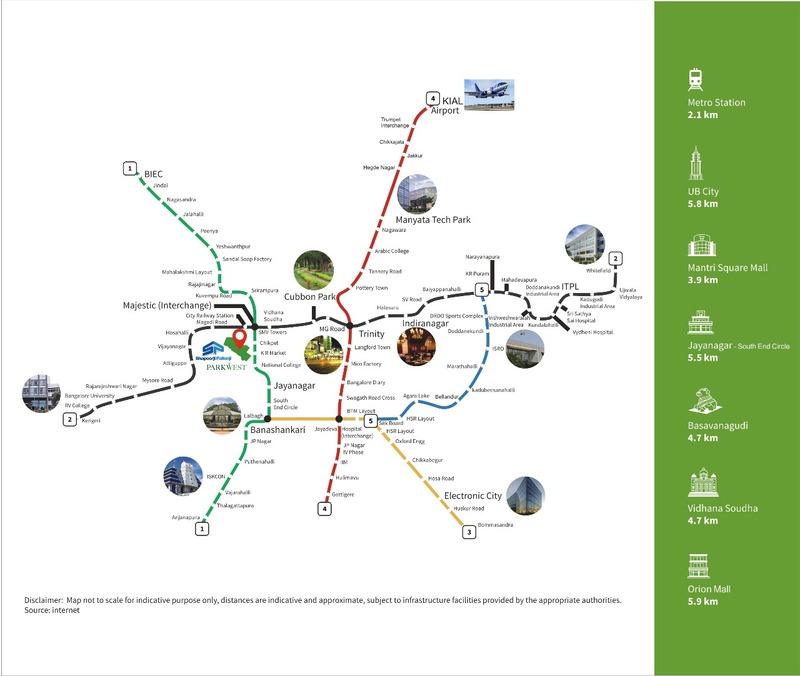 As it is accessible via NICE ring road, Outer ring road, CV Raman road, Hosur road and further nearby corridors to migrate in zone or direction in the real time or in future.